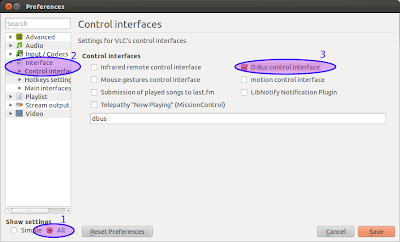 Now you can add your VLC Media Player to Ubuntu Sound Menu because the last version of VLC Media Player 2.0 got support for MPRIS version2. Here is the method to enable this feature. First open your VLC Media Player 2.0. Then go to Tools -> Preferences. Now select All radio button from Show Settings and go to Interface -> Control Interface. 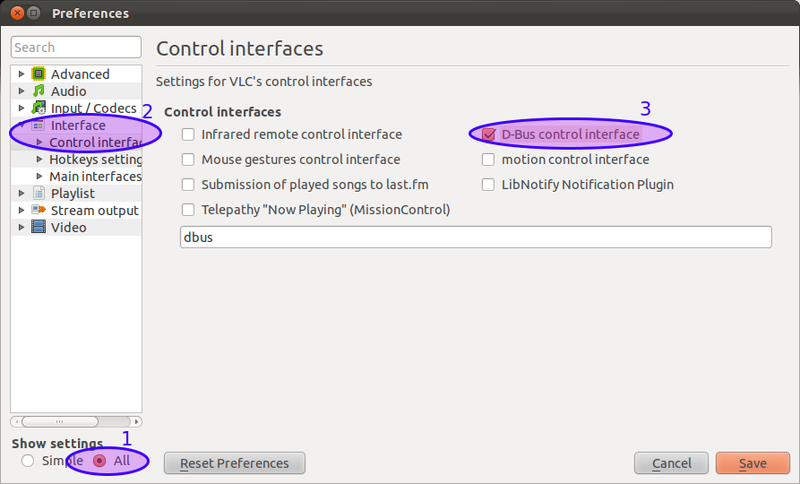 Now click the checkbox D-Bus Control interface and save the settings and restart you VLC Media Player 2.0 for the change. Now you can see the VLC 2.0 on your Ubuntu Sound Menu. 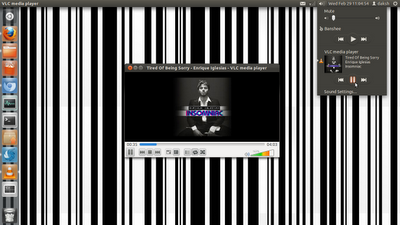 See how to install VLC Media Player 2.0 in Ubuntu 11.10.